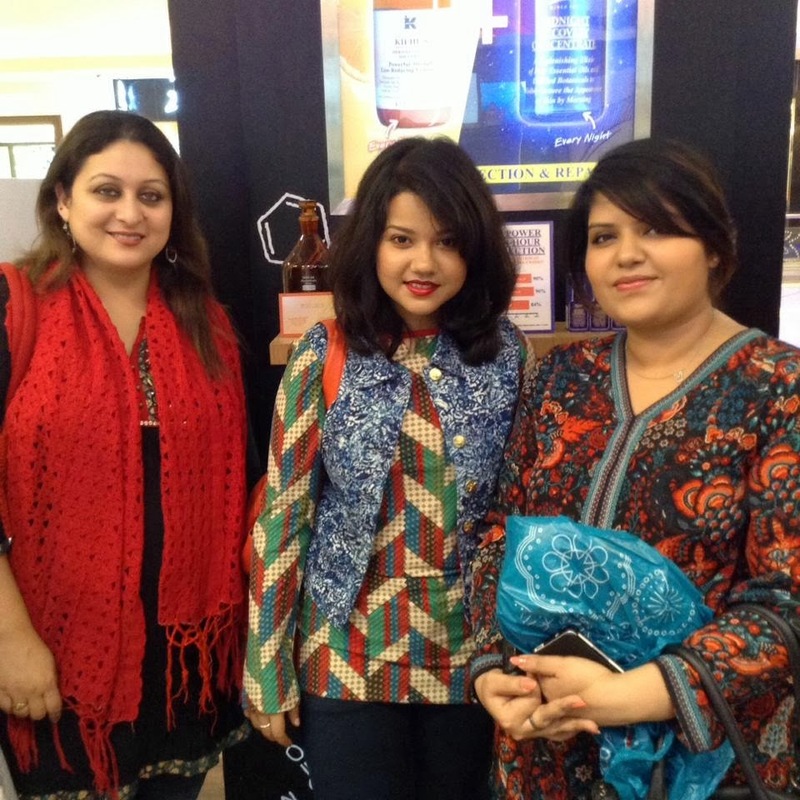 Kiehl's Bloggers' meet up at Kolkata: A place to relax and shop. 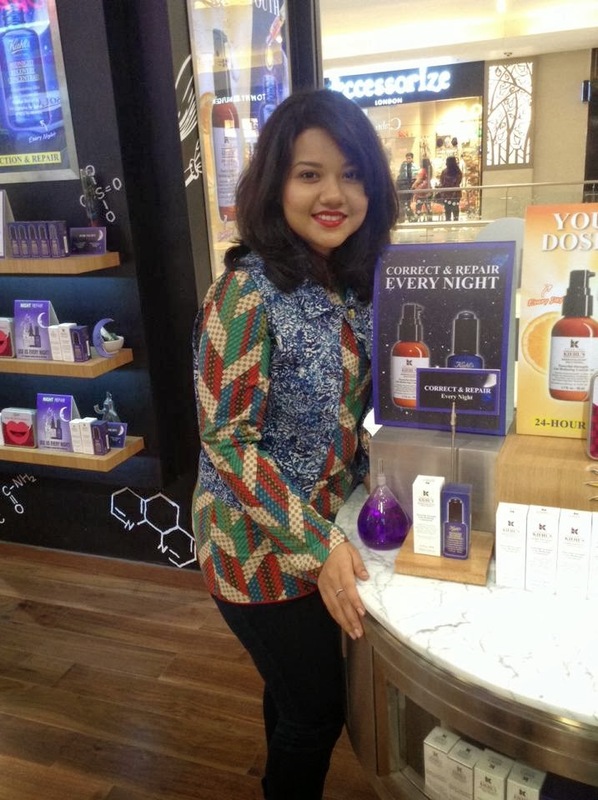 Yesterday, we had a bloggers’ meet up at Kiehl’s India at Quest Mall. I can’t just tell you how much of fun it was. The best part, I had been ill for a week now and it was only yesterday that I got well enough to attend the event. I met the other lovely bloggers Shikha, Poorna, Sharmishtha, Shayoni and no other than Bidisha. Dolon was the host and without her, I don’t think this would have been made possible. On reaching the store, first we had an introduction. We walked around the store checking out products. And yes, there were such nice cup cakes and mini springrolls and I could not keep my eyes off them. I love my cup cakes! LOL. After some food and some refreshing chamomile tea, we started getting our skin analyzed. The best part, we all started posing, cracking jokes and well, I never knew that I sometimes get giggly too. The skin analysis was good. It was pretty satisfactory. The Analyst actually complimented my skin and asked what I did. She was horrified on learning how I cleanse. But that doesn’t matter. My policy is ‘whatever works for me is good for me’. It was such a relaxed ambience where you can have a friendly conversation and discuss everything under the sun relating to your skin. The way they dealt with every one showed how professional they were and so efficient. They did not push one to purchase, but gave information and proper suggestion which is really impressive. I detest it when people tend to get pushy and start sounding phoney. Shireen suggested me a CTM with some Kiehl’s products and since they have this policy of try before buy, she also gave me tiny samples of the customized solutions. Want to go to this doctor? I am planning to buy the moisturizer from the range. After some more time, we all posed for the photos again and for the first time I realized, even though I have not known my blogger friends for a long time, I actually enjoy being with them. It was a very lovely evening. Stay tuned on more posts pertaining to the event. Thank you L. Oh, we did! It was crazy. looks like you had real fun! 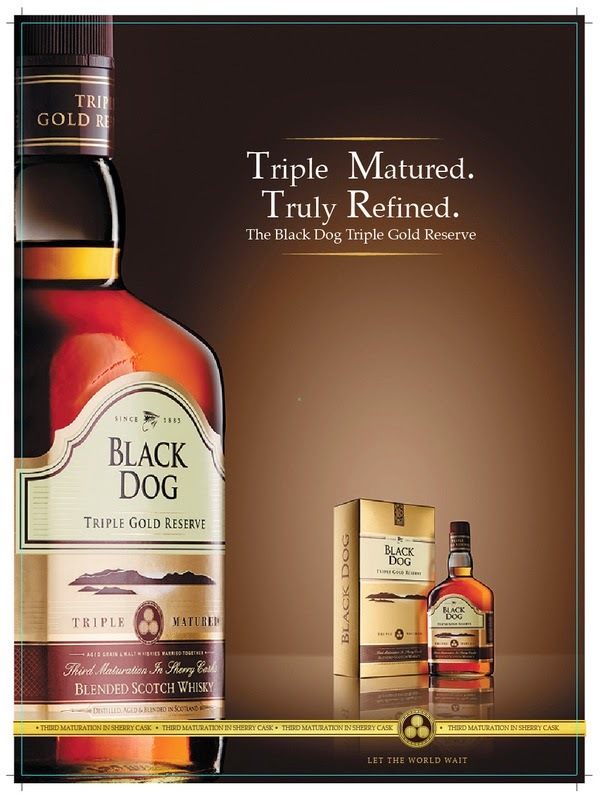 looking forward to some reviews of the products from this range. You look so pretty! Let us know how the pore mask is. Sure. I think I would be able to use it twice. So, even though it won;t be a full fledged review, there would be an opinion for sure. Nivs? u r cuteness personified,and ur skin...OMG...a kala tika here! OMG! Aditi, you made my day! I always thought my skin is very bad until recently, for some reason, every one is complimenting me. Now I can't help feeling elated. Wow u look beautiful :) looks like you girls had a lot of fun.. Thank you. Yes, it was great out there! 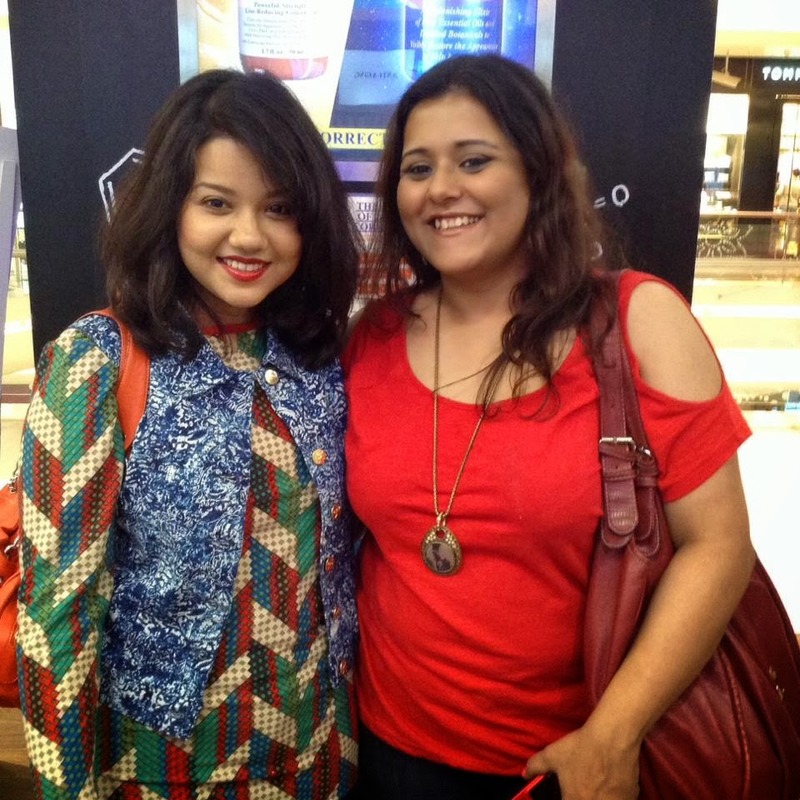 Amazing post Nivedita, You looked great. Thank you so much Samar! Really? Looks like i ought to try them out. 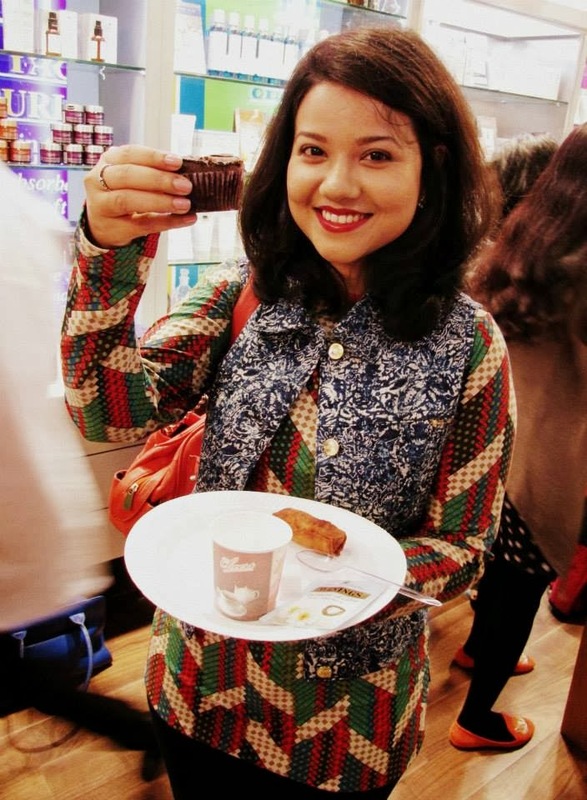 Yes, with blogger events rarely happening in Kolkata, it was really a welcome one. A compliment from you would always make my day!! I so love wearing red lipsticks It's like I feel like I am being myself!! Thank you so much Swati! You Look Like a Doll,Nivedita! So Cute! Bidisha Has Such a Cute Smile na! Does anyone have their phone / contact number?